A cardiac event recorder is a battery-powered portable device that records your heart’s electrical activity (ECG) when you have symptoms. 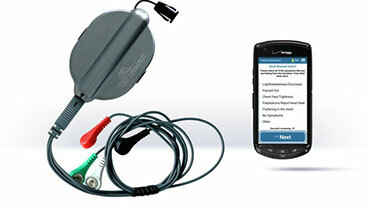 Event recorder helps in detection of asymptomatic and symptomatic arrhythmia at a wide variety of rates and durations. Our advanced monitors (Mobile Cardiac Telemetry) are capable of real time detection, record and wirelessly transmit asymptomatic and symptomatic arrhythmia to clinicians for analysis. Patients may also record manual events with symptom and activity reporting. If necessary monitor will be given during office visit data will be continuously monitored while the patient is wearing the monitor and once a device is returned a final report will be communicated to the patient/family. This test is completely painless.